Aliki Economides received interdisciplinary training in architecture, in architectural history and theory, and in the history of science. Her research and teaching focus primarily on three interrelated themes, namely: the roles played by the built and natural environment in the construction of identity; the profound interrelationships between social and spatial inequalities; and the history, theory, and contemporary practice of ornament in architecture. 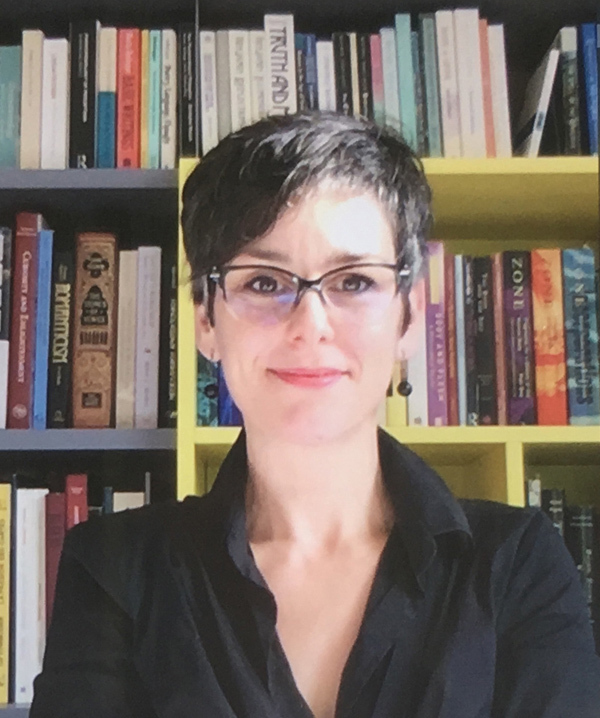 Throughout 2016 Aliki was Scholar-in-Residence at McGill University’s Centre for Interdisciplinary Research on Montréal (CIRM) where she continues to be an Associate Member. Her research has also been supported by the Canadian Centre for Architecture (CCA), Harvard University’s Weatherhead Center for International Affairs, the Rockefeller Archive Center, and the Society of Architectural Historians (SAH). An interdisciplinary colloquium that took place simultaneously in Halifax, Montréal, London, Winnipeg, and Vancouver. 2017-19 Documentairy film, Ernest Cormier et le défi de la modernité [Ernest Cormier and the Challenge of Modernity], produced for Radio-Canada in collaboration with filmmaker Paul Carvalho. Economides, Aliki. “The Cormier Residence in Relief.” In The Routledge Research Companion to Art Deco, edited by Bridget Elliott and Michael Windover. New York: Routledge, forthcoming 2018. Economides, Aliki et Colin MacWhirter. « L’autoroute Ville-Marie: vision monumentale et division sociale ». Dans Vivre ensemble à Montréal: Épreuves et convivialités, sous la direction d’Annick Germain, Valérie Amiraux, et Julie-Anne Boudreau, 155-162. Montréal : Atelier 10, 2017. Economides, Aliki. « L’Architecture, l’urbanisme, et le droit à la ville ». Dans Exposition architecture 2017. Catalogue de l’exposition des finissants de la Maîtrise en architecture de l’Université de Montréal. Montréal : Université de Montréal, 2017. Economides, Aliki. Constructing Identity: Ernest Cormier and the Project of Modernity. Shelekpayev, Nari and Aliki Economides, eds. Capital Cities in Imperial and Post-Imperial Contexts, 1880-1980. Pittsburgh, PA: Pittsburgh University Press [anticipated 2019].